The Craft Brewers Conference is here and I think that this podcast will be a great way to pass the time as you travel to Denver (if you’re not already there). I’ve been asked by a number of people if I’ll be there this year and unfortunately I won’t be able to make it. My wife is currently seven months pregnant with our first and its getting to be that time where she probably wouldn’t be too happy with me if I left for four days. While I won’t be able to make it, I’ll be there in spirit and keep me updated on Twitter or Facebook on how it’s going. 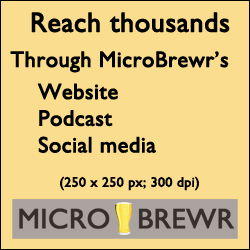 If you’re enjoying the MicroBrewr podcast, make sure to spread the love at the CBC and tell your friends about it. 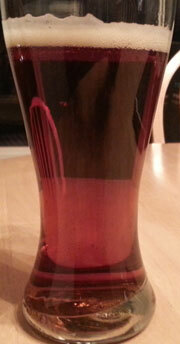 Have a beer for me and hope you have a great time!! This week, I am really excited to welcome Aaron Brodniak to the podcast. 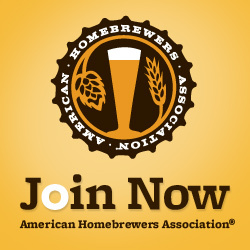 Aaron Brodniak has worked in a number of different breweries and has held the titles of Head Brewer for a microbrewery and Regional Brewer for a chain of brewpubs. He has over 18 years of craft brewing experience and serves as a brewery consultant who assists with both start-up and operational brewery business plans, human resource plans, product development, marketing and so much more. This week, we’ll focus on the different aspects you’ll need to take into account when developing your brewery business plan so get ready to take some notes on this one! If you liked what Aaron had to offer in the podcast, I recommend that you check out the Craft Brewery Startup Workshop II offered by Oregon State University. 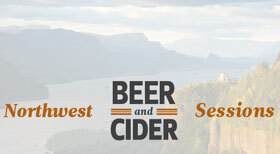 Refine your brewery vision online with fellow entrepreneurs and then travel to Portland, Oregon to work with consultants during a four-day workshop to fine-tune your craft brewery business plan. Also, if you have the best business plan at the end of the workshop, you will be offered a three-day internship with Ninkasi Brewing in Eugene. If you’re serious about starting up a brewery which will probably cost you $1 million and up, I’m sure that investing money in a great course like this will pay off in the long run. Here’s a list of the difference resources that Aaron covered. Also, I included some links on how to get in touch with Aaron if you’re looking for a consultant to help you out starting up your brewery. Want to learn more? To get updates on when new content comes out, make sure to connect with me by clicking the button below. As my thank you for joining the community, I’ll send you the 6 Free Social Media Tools To Get People Talking About Your Beer e-book for free.